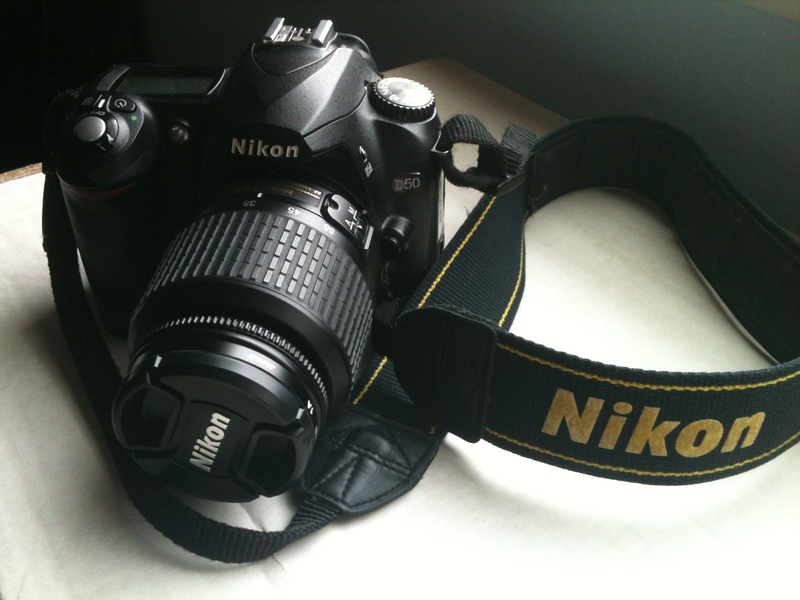 My hand-me-down Nikon D50 digital SLR camera kit, with a Nikkor AF-S DX 18-55mm f/3.5-5.6 zoom lens. The first time I took a class from Dr. George A. Flynn at Fresno State, he prowled the length of room 242 in the McKee Fisk building while shouting obscenities at all the “print journalism” students who didn’t subscribe to their local newspaper, The Fresno Bee. 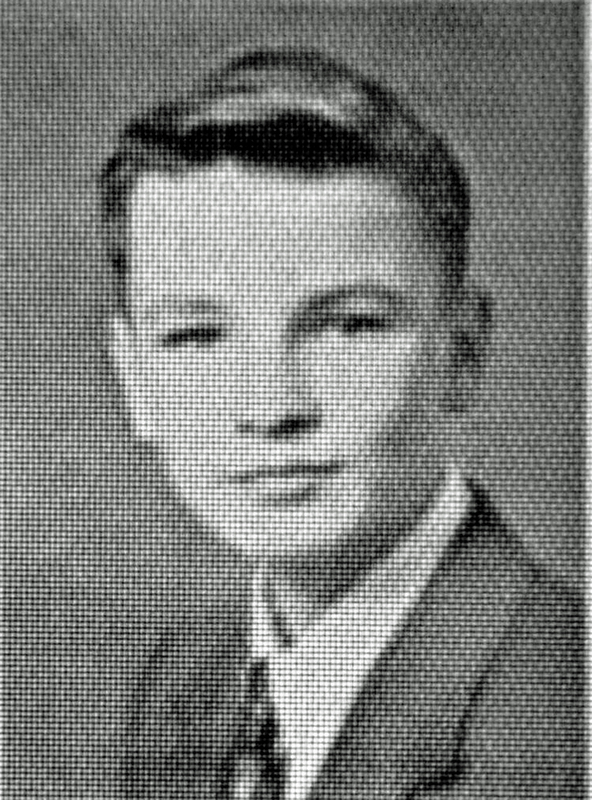 George in 1952 as a high school freshman in Quantico, VA. It was fall 1995. I was a fifth-year senior embarking on a new appointment as editor-in-chief of Insight, the journalism department’s now-defunct full-sized weekly paper. George was the faculty adviser, and on the second day of class he made the point of insulting each and every student in the class except one– my photographer friend Dan Helmbold, who was an intern at the Clovis Independent at the time– for claiming to aspire to be newspaper journalists without even subscribing to our own local paper. As George flung his stack of subscription cards into the air one by one, yelling while strolling the length of the U-shaped tables while twenty-five students– myself included– stared down into our notebooks with a mix of amusement and shame, I took careful note of what he was trying to say. Despite his salty tongue, George exposed me to an important reality of professional life. If you really want to be a journalist, you’ve got to study the hell out of journalism every day. Take out “journalist” and “journalism” and replace it with whatever profession you’d like, and you’ve still got essential advice. George with his new Nikon D5100, with a Nikkor AF-S DX 18-200mm f/3.5-5.6 zoom lens. Photo by Carol Flynn. George studied hard to become a professional journalist and educator. He holds a Ph.D. from North Texas State, a master’s from Florida Atlantic, and a bachelor’s from the University of Miami, all in journalism. A Navy man, George worked his way up from copy boy to reporter to editor at the Miami Herald. He taught journalism at Fresno State for 15 years, retiring in 2000. He and his wife, Carol, who is an accomplished special education teacher, have lived in Texas since then, first in Corpus Christi and now in the Sun City neighborhood of Georgetown, north of Austin. George still works as a stringer for the Williamson County Sun, Georgetown’s local newspaper since 1877. He sometimes gets his reporting and photography assignments from Sun editors who are forty years his junior. Not all students connected with George when he taught at Fresno State. For a while, he drank a lot, and for the longest time he gulped gallons of black coffee and chain-smoked cigarettes. His sharp tongue, coupled with his vices, sometimes didn’t win him fans. But when it came to teaching journalistic writing, I would argue that there are few better than George A. Flynn. His precise, economical writing and editing style epitomizes the very best of crackerjack journalism, a style rich with detail but never bloated. His reporting curiosity focuses on people’s everyday lives, showing the inherent worthiness of the smallest piece of “news” when the story is told well. And his fierce commitment to studying the profession of journalism and its many mutations– from lead type to pagination and now to the Internet– continues to inspire me. George's old camera bag, which is now mine. I’ve kept in touch with George over the years, and I’m thankful for it. He continues to nourish me as a mentor and as a friend. 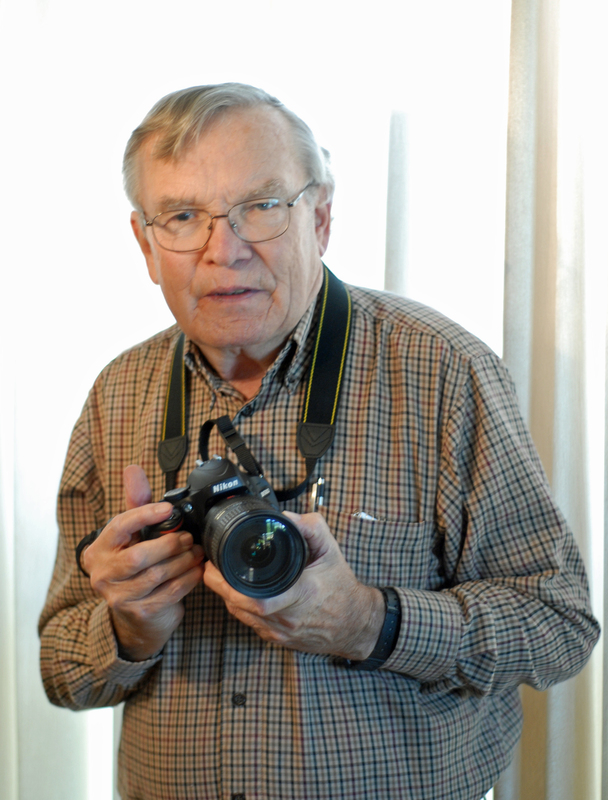 When I told him last summer that I would be transitioning away from teaching and instead trying my hand as a freelance multimedia journalist, George gave me his old Nikon D50 digital SLR camera kit. (It’s pictured at the top of this post.) He had just bought a new Nikon D5100 for his stringer work, so he insisted that I have his old D50 as my own starter camera. 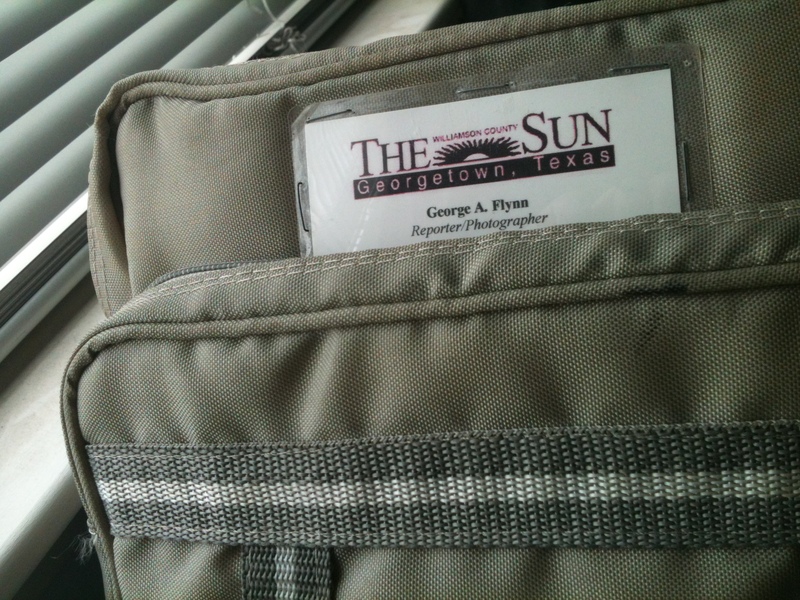 George even sent me his camera bag to go with it, which still has his old business card affixed to the front. I’ve now started using the D50 this spring for various projects, including the Mural District photo walk I made recently. George said that giving me the old camera was “an investment in the future of journalism.” I hope I can make him proud with what’s to come. A great journalist and mentor. Thanks for sharing the story!